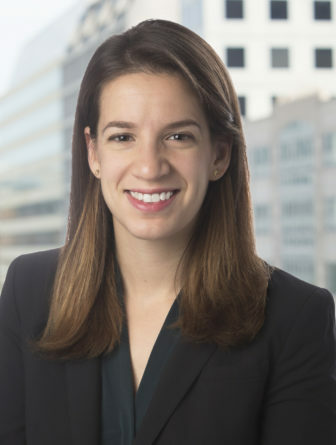 Carolyn Forstein is a trial and appellate litigator. Before joining Robbins, Russell in 2018, Carolyn served as a law clerk to Chief Judge Timothy M. Burgess of the United States District Court for the District of Alaska and as a foreign law clerk to Justice Edwin Cameron of the Constitutional Court of South Africa. She also worked as an associate with Freshfields Bruckhaus Deringer US LLP in its offices in New York and Washington, D.C.
Before law school, Carolyn researched rule of law and civil society development as a Fulbright fellow in Ukraine and studied Russian language, political science, and business on an academic scholarship in Moscow, Russia. Carolyn is proficient in Russian and Spanish. Challenging Extradition: The Doctrine of Specialty in Customary International Law, Note, 53 Colum. J. Transnat’l L. 363 (2015).